Presiding Judge Ke Manera identified the accused as Suon Savun, 65, a former Transport Ministry official. He said Mr Savun was charged with forgery of public documents and faces up to ten years in jail if convicted. Judge Manera said that between 2012 and last year, the accused was with the ministry’s workshop department in charge of making vehicle number plates and driving licenses. 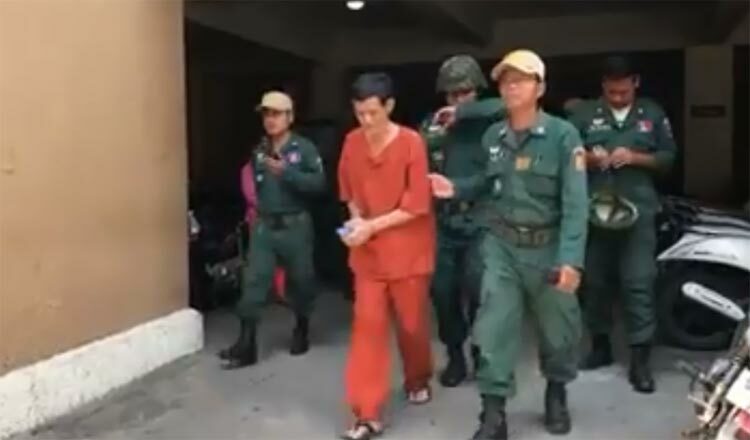 Judge Menera said Mr Savun’s activities came to light in January last year after traffic police seized several forged plates and licenses from Chinese nationals driving luxury cars in Phnom Penh and Preah Sihanouk province. He added that after the seizures, a ministry task force together with police started a probe and found that Mr Savun was the forger. He was arrested on February 25, last year at his house in Russey Keo district’s Russey Keo commune. During the trial, Mr Savun admitted committing the offence, saying that he started forging and selling forged vehicle number plates and driving licenses in 2012. He told the court that he did so because his salary was low and not enough to support his family. He urged the court to give him a non-custodial sentence. “I have been in prison for nearly two years and I have an ailment affecting both my knees,” Mr Savun said. A verdict is due April 26.